How do I change the language of an invoice? Scroll to the bottom of the invoice page and select "English." 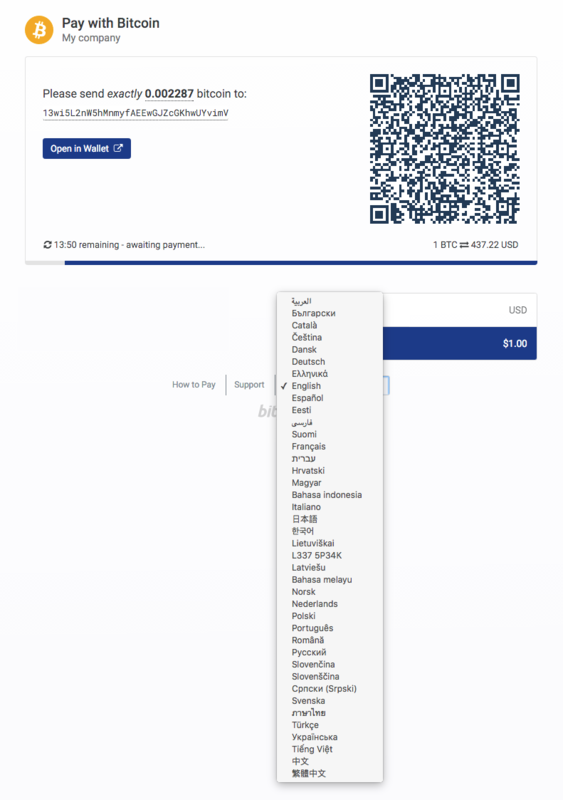 A menu will pop up with the list of the language translations available for the BitPay invoice.